Although you might not instantly think of Łódź as Poland’s culinary capital, this buzzing city has a long history of legendary restaurants and cafés, such as Aleksander Roszkowski’s café described by Władysław Reymont in his masterpiece The Promised Land in the 1890s, and the luxurious Tivoli restaurant in the early 20th century. What’s more, in Łódź the finest cuisine is celebrated during annual events – the Transatlantyk film festival, which features a Culinary Cinema section combining food-related films with haute cuisine from Poland’s best chefs, and the Good Taste Festival (Festiwal Dobrego Smaku), which takes place each June and honours Łódź’s best restaurants and cafés. 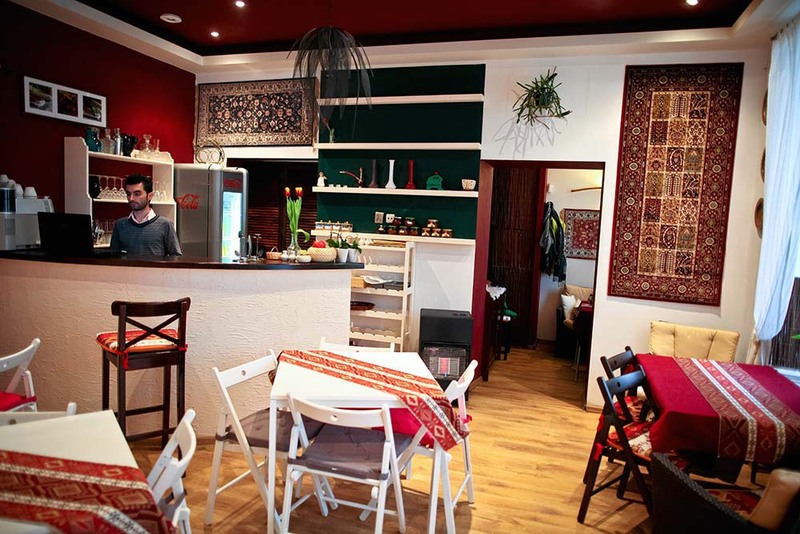 ‘Local food, local music, local art’ is the slogan of one of Łódź’s trendiest spots, and they certainly live up to it. Located just next to the central Piotrkowska Street, Lokal is all about combining local produce (such as regional goat cheeses from Drużbin, available on a cheese board with a pint of Łódź beer or a glass of selected wine) with contemporary techniques, and traditional recipes with the dietary requirements of the modern diner. Liver parfait with blackcurrant, hummus with green peas and cumin, pickled herring with marinated apple and onion jam, and grilled goat’s cheese with buckthorn yoghurt and sugared rhubarb… And these are only the appetizers! For your main course you can order a Polish stir-fry of vegetables with broccoli purée, hazelnuts, and lemon oil, or beef cheeks on carrot pancakes with apricot mousse and blackcurrant jam. Everything you find here is locally sourced and ingeniously crafted for a marvellous modern-day Łódź experience. Piwnica Łódzka is a restaurant that offers modern interpretations of often forgotten, old-fashioned dishes from the region. 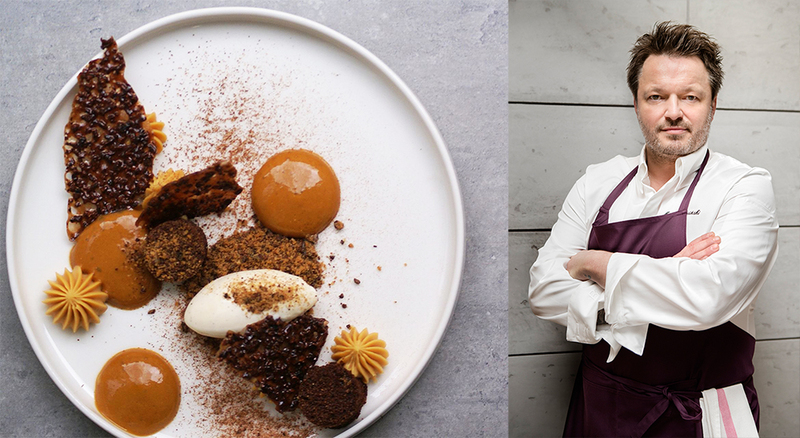 Its chef Sebastian Spychała has been named an ambassador of the Łódź region and triumphed during the April edition of Restaurant Week in 2016. The most typical dish recreated by Spychała is zalewajka – a traditional sour rye soup made with potatoes, kielbasa and onions, similar to the better-known żurek. Śledź pod pierzynką (literally: herring in a blanket) is a typical regional appetizer inspired by Russian cuisine, and consists of herring covered in a cream sauce with potatoes and apples. Piwnica Łódzka also serves knedle – potato dumplings filled with plums and beef and served with sweet cabbage – and pork tenderloin with sour rye sauce, sauerkraut, and prażoki – another type of potato dumpling. Quale is the only restaurant from Łódź on the current list of Poland’s 100 Best Restaurants. 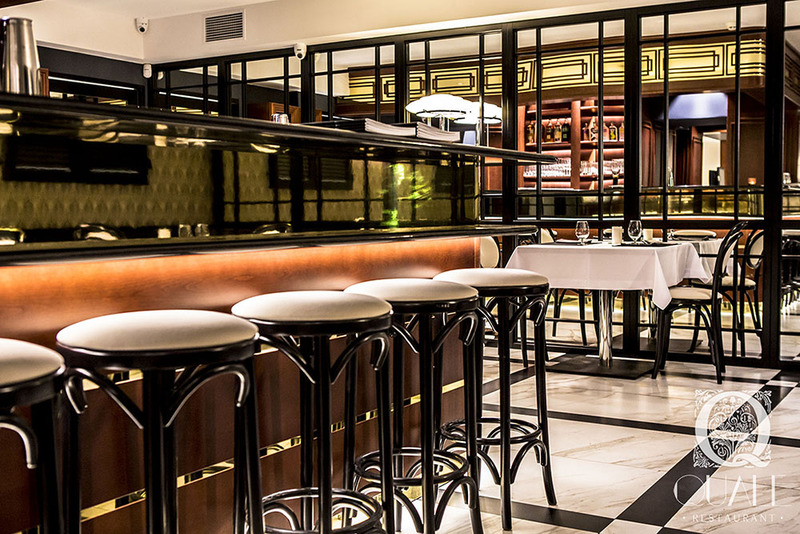 Led by the talented chef Szymon Stach, Quale is located in the 19th-century Gustaw Schreer villa – now called Villa Quantum – and inspired by the 1920s Art Deco elegance. Stach – called the ‘chef of tomorrow’ by the prestigious Gault&Millau guide – uses modern techniques to showcase interesting ingredients. In the 9-course tasting menu (5- and 7-course options are also available) you can find dishes such as vichyssoise, yuzu and fish cake, crisp herring, sorrel and sour cream, octopus tentacles with confit tomatoes and saffron mayonnaise, and roast wild boar, soured herring, and cherries. Pastry chef Wojciech Golic prepares intriguing combinations such as gooseberry with oat bran & cherries. The bar also boasts around 200 types of liquor. Yet another place worth your while on Piotrkowska Street, Europe’s longest promenade, is Affogato, led by chef Maciej Rosiński. It has an international theme, inspired most of all – as the name itself suggests – by Italian cuisine, but interpreted in an interesting and modern way. The ever-present mozzarella di bufala is not served with tomato, but with truffle soil and berry mousse. Tempura prawns are accompanied by a chilli and whiskey sauce, and the classic chłodnik (cold beetroot soup) is served with a yuzu sorbet. As a main, you can pick from two kinds of pasta, a chanterelle risotto, and a variety of meat and fish dishes, among which the Irish beef cheeks with horseradish puree, caramelized carrots and demi-glace sauce with kaffir leaves is especially interesting. The signature dessert is of course affogato – coffee, vanilla, caramel, and cocoa beans. 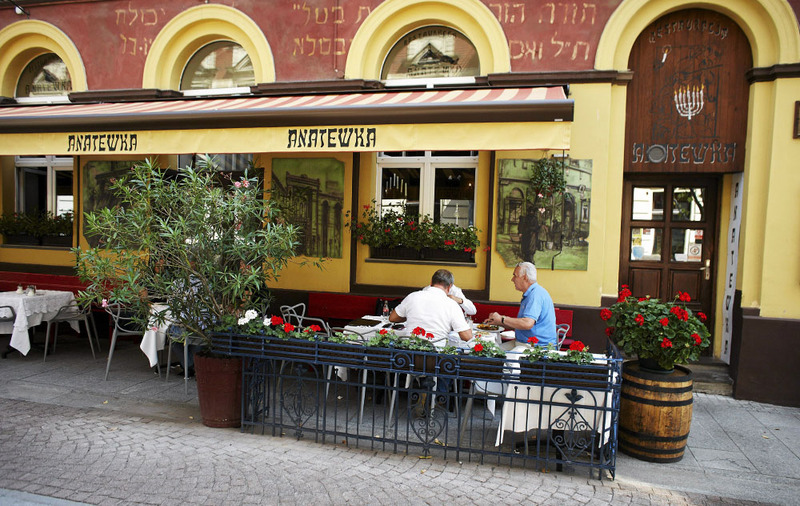 Anatewka, one of Łódź’s most popular restaurants, draws upon the city’s Jewish heritage. It has two branches, one of which is located in the Manufaktura shopping mall in Izrael Poznański’s former industrial complex. Traditional dishes such as goose pâté with cranberries, gefilte fish, herring with cinnamon, and spicy kidneys are a must for all foodies ready for a full-on European-Jewish adventure. Kreplach – traditional Jewish dumplings with veal, goose or spinach – are also served as well as beef tongue with horseradish, goose livers with raisins, and almonds and fish cholent. A must when you are on a Jewish-culture inspired tour. Located in an Art Nouveau townhouse, Revelo restaurant is the epitome of the history-themed luxury only Łódź can offer. From the elegant décor to the menu which references an old newspaper, everything here is well thought out. The menu screams class and luxury (with some modern twists in the cooking methods). You can have foie gras or scallops for appetiser, goose leg confit or sous vide veal for the main course and halvah parfait for dessert, paired with some amazing wine or with one of the restaurant’s signature cocktails – like Ślivelo made with Martini, Passover Slivovitz, and elderflower syrup. Delight Restaurant is situated in Vienna House Andel’s Łódź hotel, right next to the Manufaktura shopping centre. Chef Mirosław Jabłoński has created a fine dining menu, elegantly crafted and based on seasonal products. Starters include Polish dry-aged beef tenderloin tartare, marinated boletus and dried pork fat and cauliflower cream soup with smoked bacon and baby leek. 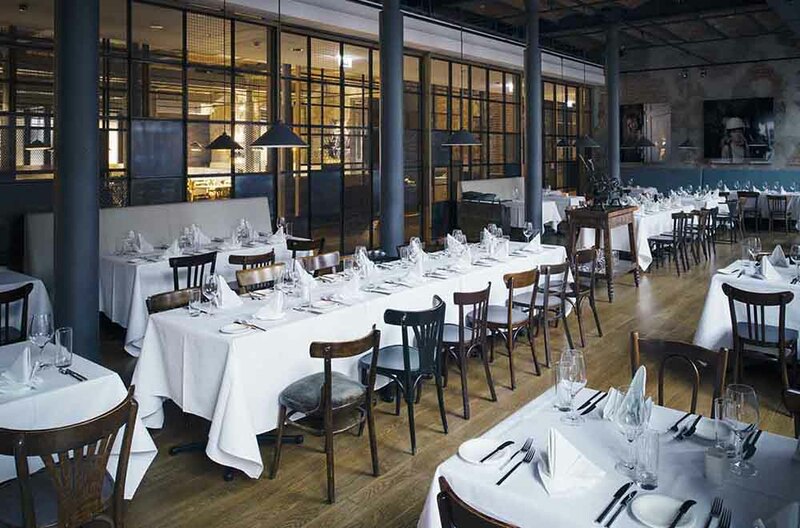 For the main course, you can order cod loin with pine nuts, pistachio crust, cauliflower, potato purée with truffle olive oil or pan-fried, hay-smoked venison loin, pickled cucumber tartar, shallots and potatoes confit. The restaurant also caters to vegetarians and vegans – plant-based options such as a salad with roasted cauliflower, carrots and tofu marinated with pickled cucumber, or risotto with broad beans, spinach, goji berries, and sunflower sprouts can make meat-eaters envious. Special seasonal dishes are also served, based on popular ingredients such as asparagus, chanterelles, and strawberries. 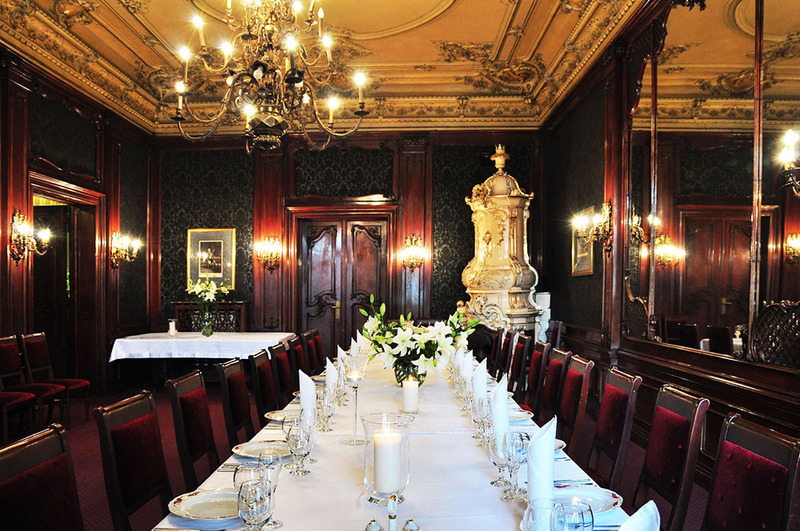 Klub Spadkobierców (Heirs’ Club), located in a historic townhouse on Piotrkowska Street once belonging to an esteemed Lodzermensch Maksymilian Goldfeder, is one of those places you could take your parents for an elegant birthday dinner or organise a festive banquet. 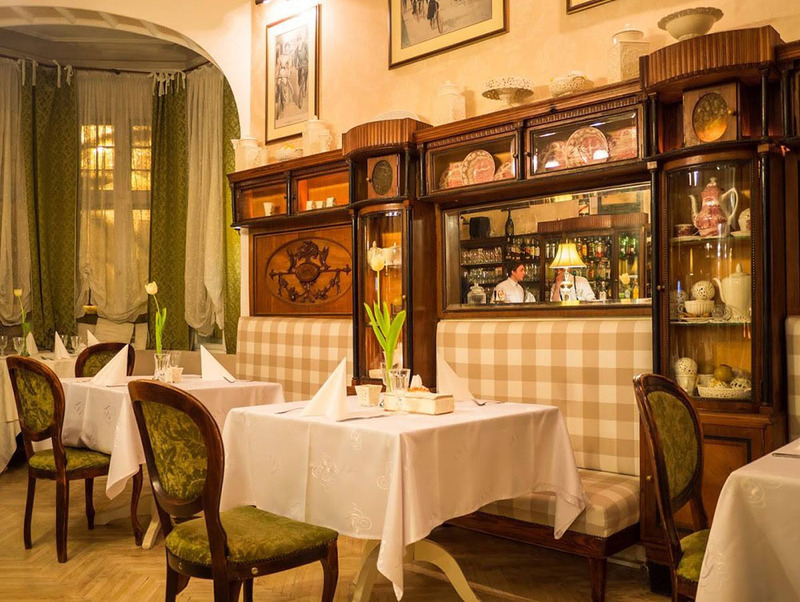 In four beautiful rooms, richly decorated with antiques, you can try such classic dishes as beef carpaccio, meat broth with boletus mushrooms, roast duck with apples and raspberries, and fried catfish with lemon-cream sauce. Finally, you can indulge in one of their all-time favourite desserts such as apple pie or chocolate soufflé. Once upon a time – around 20 years ago, to be exact – Poles started to fall in love with sushi. At one point there seemed to be more sushi bars in Warsaw than any other type of restaurant. It wasn’t necessarily good sushi, mainly because fresh fish and seafood were not that easy to find in Poland. Two decades later the best restaurants remain, among which reigns Łódź’s Ato Sushi with its focus on the beauty and freshness of its products. Tempura prawns, sea bream ceviche, and soy-glazed octopus are an introduction to amazing mains such as flank steak with pak choi, Japanese mushrooms, and seasonal vegetables or duck confit with caramelised rice and plum and onion marmalade. 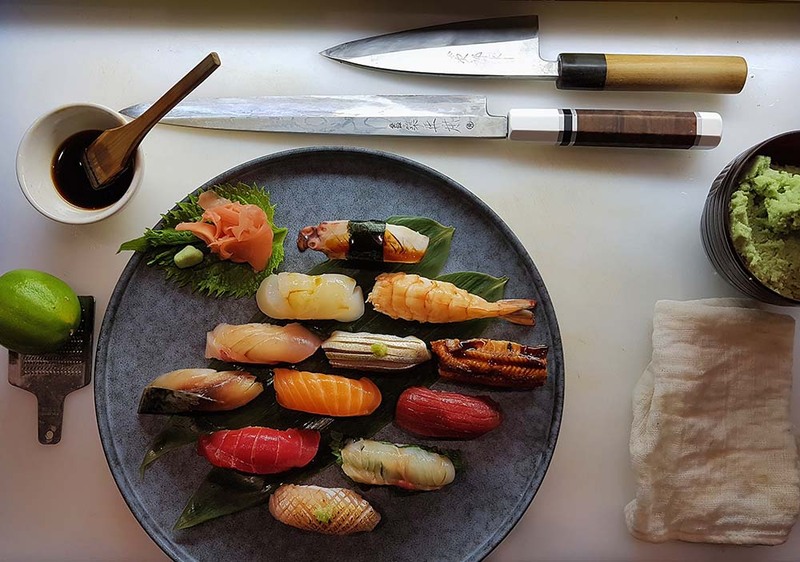 But what’s most important is the sushi in many shapes and forms: sashimi, futomaki, uramaki, and so on, made with the freshest of ingredients and with sushi-master precision are a must for all lovers of Japanese food who happen to find themselves in Łódź. 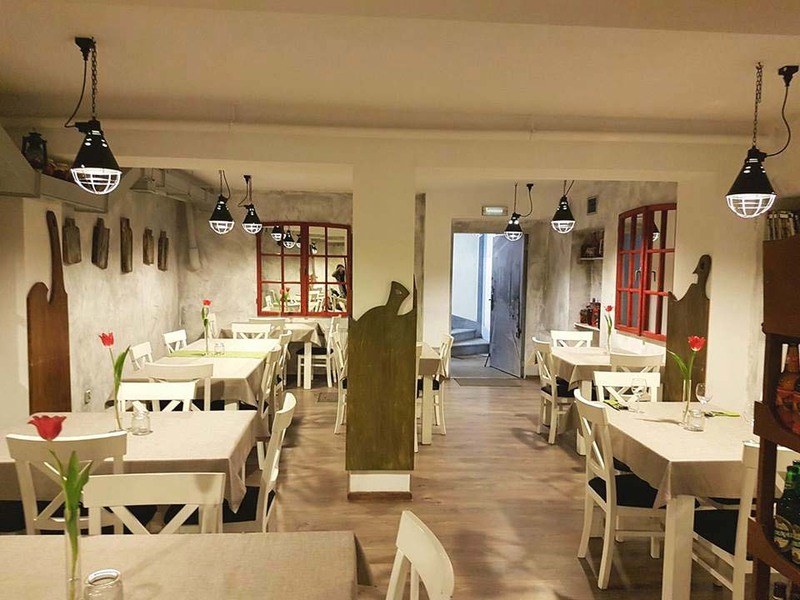 The Caucasian restaurant Lavash on Piotrkowska Street is one of Łódź’s most interesting ethnic places, worth mentioning among more exclusive restaurants because of its authenticity and originality. Traditional dishes you can try here are hard to find anywhere else: check out the Iranian herb stew ghormeh sabzi, Azeri lamb buglama, Georgian stewed aubergine adzabsandale, or Armenian borscht. Georgian khinkali dumplings and breads such as Adjaran khachapuri filled with cheese and egg, lobiani filled with beans and spanachani with spinach are also a very popular choice. Armenian marmalades, compotes, teas, and vodka complete this exotic trip to the green mountains of the Caucasus.